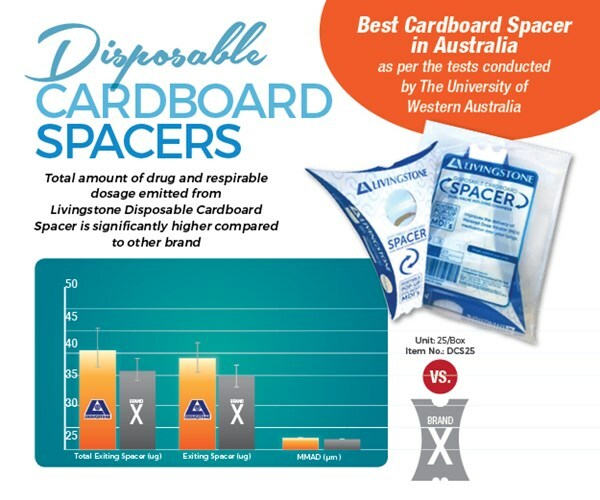 The Livingstone Disposable Asthma Cardboard Spacers is the Best Disposable Spacer in Australia as per tests conducted by The University of Western Australia. The University of Western Australia's Andersen Cascade Impactor Particle Size Testing Protocol: Comparison of the output of salbutamol from a pressurized metered dose inhaler (Ventolin; GSK Australia) used with the Livingstone and Brand X collapsible spacers. 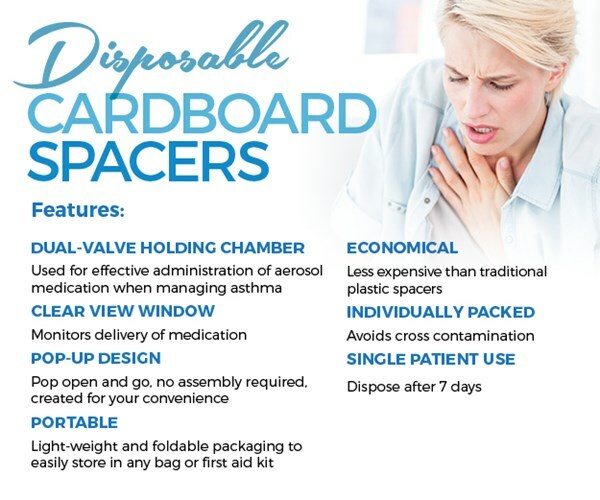 Its objective is to determine the drug output and particle size distribution of salbutamol using an Andersen Cascade Impactor, when delivered from the pressurized metered dose inhaler (pMDI) via the Livingstone Asthma Spacer and Brand X. Both spacers were tested at a constant inhalation flow rate of 28.3 litres per minute. The total amount of drug emitted from the Livingstone spacer (mean 28.38 μg) was significantly higher (p=0.039) than that emitted from Brand X (mean 22.8 μg). 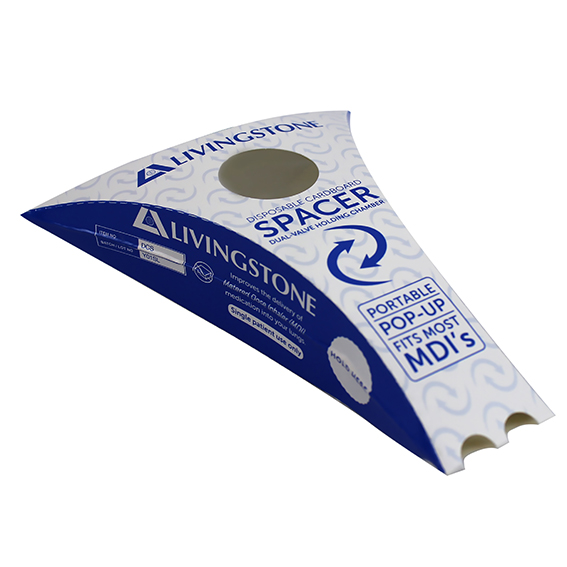 Six units of each spacer were tested, and there was a degree of variability in the amount of drug emitted from each of the spacer units, which ranged from 22.6 to 33.9 μg for the Livingstone spacer versus 19.2 to 27.1 μg for the Brand X.